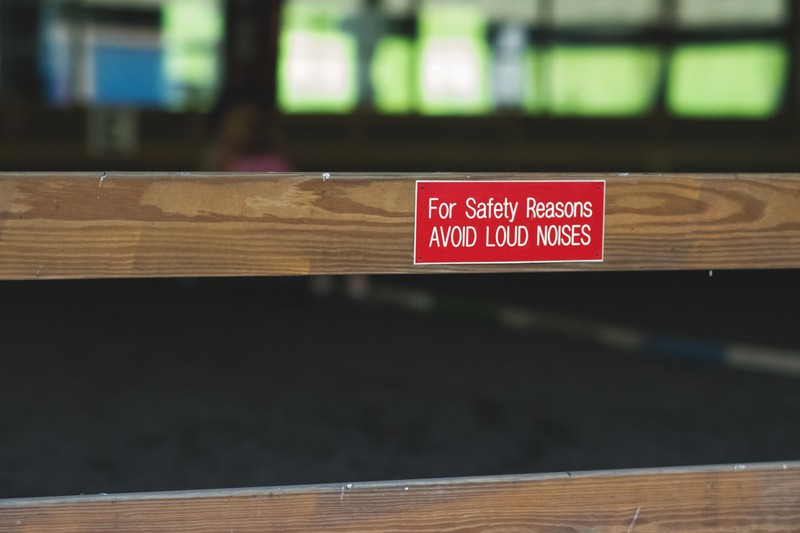 Last fall, after Jackson finished nearly three months of occupational therapy to help with his spatial awareness, fine motor skills, and core strength, I was less than impressed with the results. He still cannot tie his shoes, and his handwriting is sad shade of chicken scratch. I didn’t anticipate three months of therapy would “fix” the specific issues he struggles with, but I expected… something. 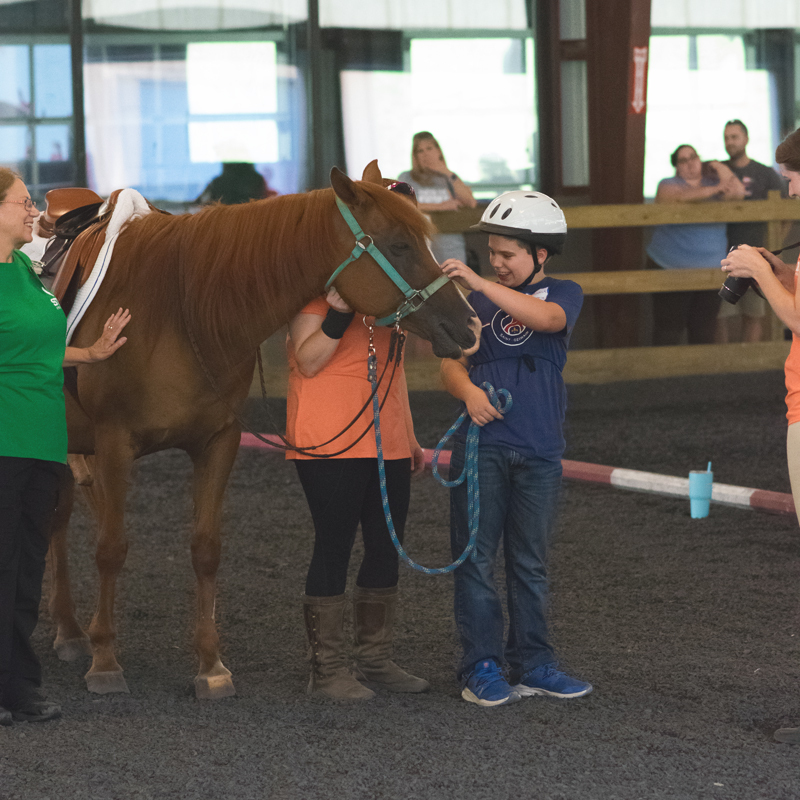 Needless to say, I looked for other options, and that’s how we landed on the waiting list for equine therapy. We sat on the list for months, not that they didn’t call and offer a spot to him every so often, but the options almost always conflicted with standing obligations. It wasn’t until June that he finally got started. 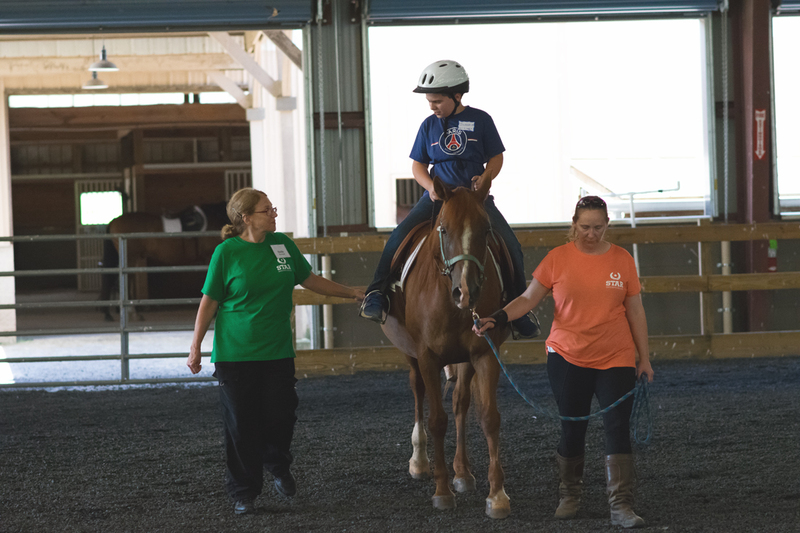 The hour-long sessions are simple: 30 minutes of tack (grooming the horse, buckling the saddle and reins) plus 30 minutes of riding. 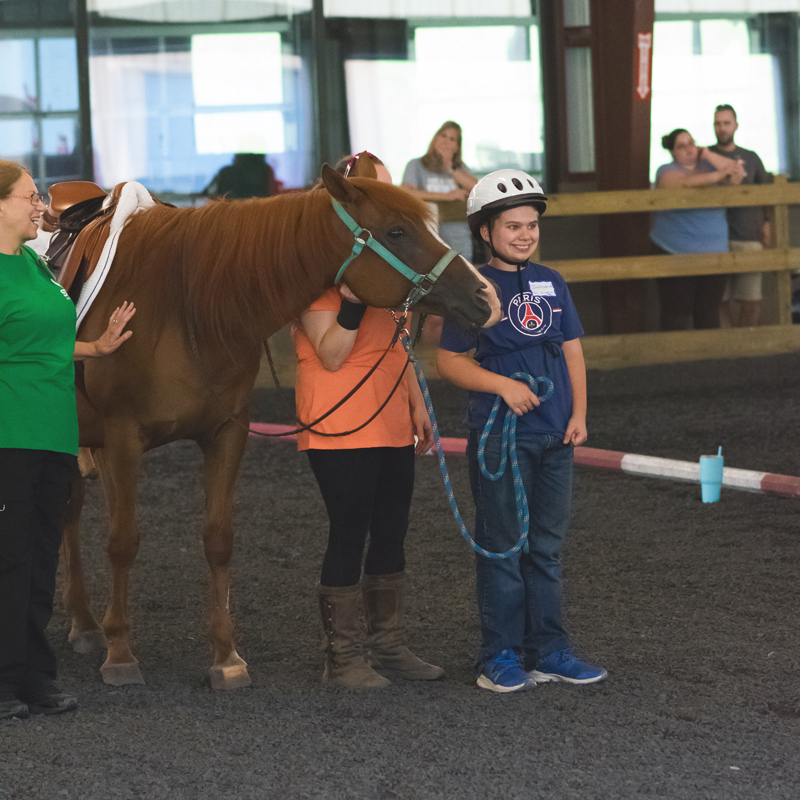 After the first session, Jackson announced that he’d no longer call it “equine therapy” but instead refer to it as “Horse Hangout Hour,” or “Triple H” for short. 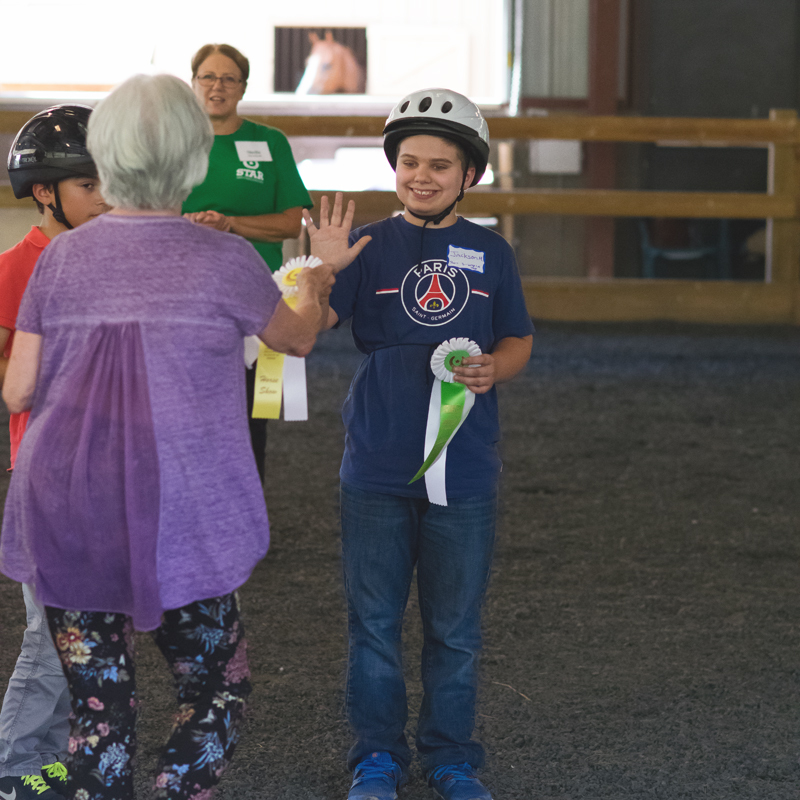 As the summer session wound down, the instructor started mentioning the horse show, which is essentially an opportunity for students to show parents, friends, and supporters what they’ve achieved and compete against one another with what they’ve learned. 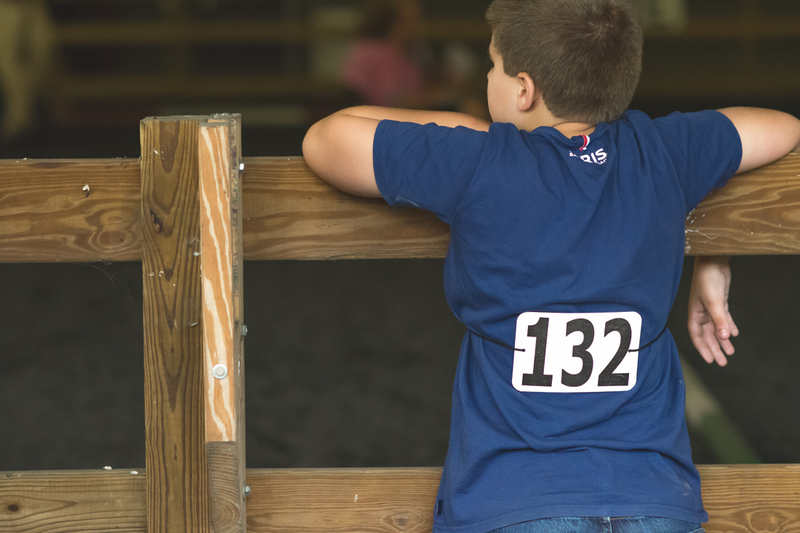 We got to the stables earlier than necessary on Saturday, but that afforded Jackson time to watch other competitors and adjust his expectations. 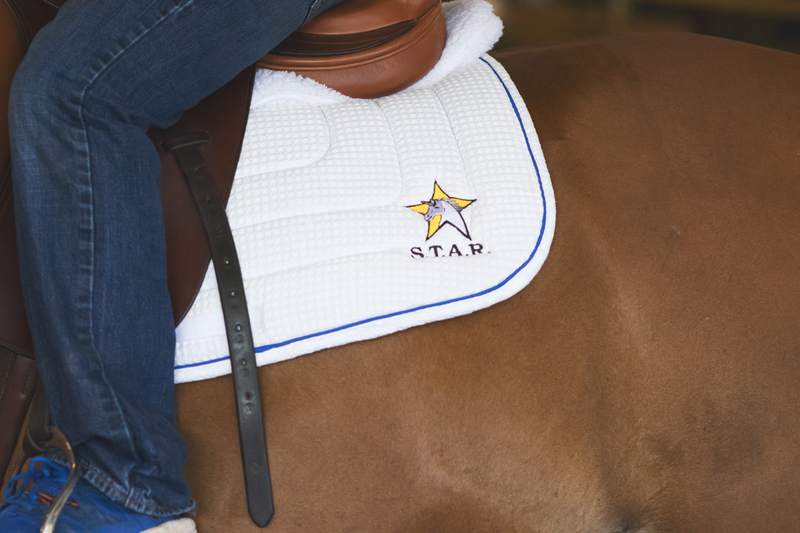 He had already been told he wouldn’t be riding Otter, his usual horse, who had injured himself late last week. 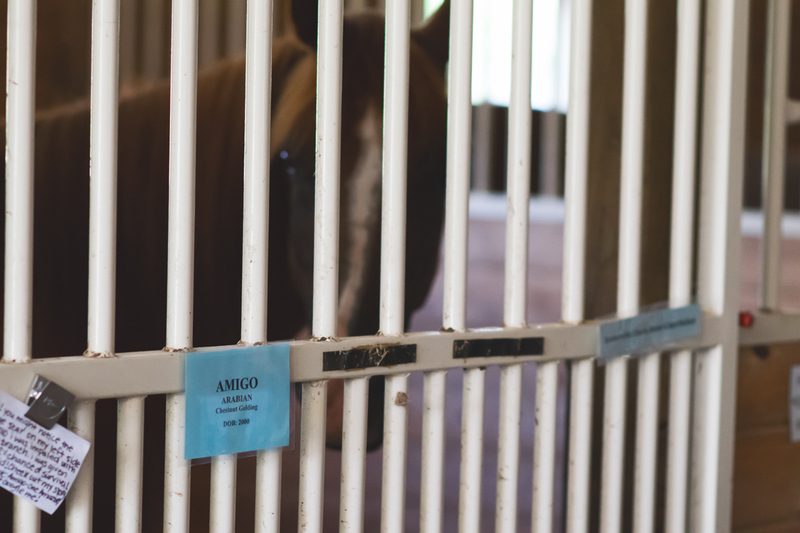 His replacement horse was Amigo, with whom Jackson had no experience, so this increased Jackson’s anxiety about competing. Amigo ended up being perfectly suited for Jackson, a bit smaller than Otter, but just as amiable. 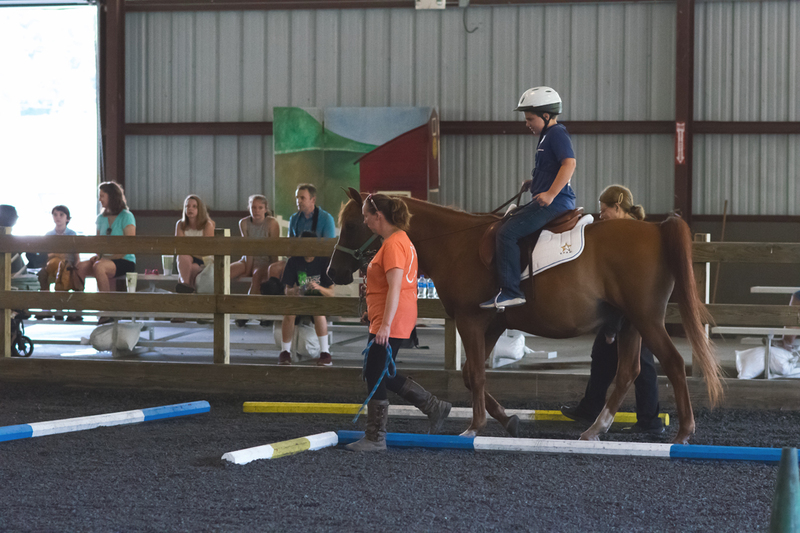 He started the competition by walking through the obstacle course and finished with general equitation. 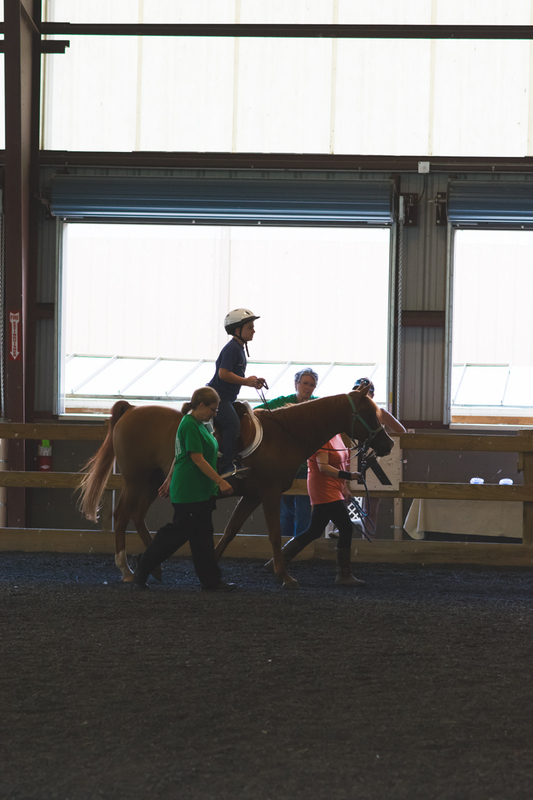 My understanding is that as he goes along in the program he’ll become more independent with the horse, eliminating the need to have handlers on either side. We’ve already signed him up for a fall session. 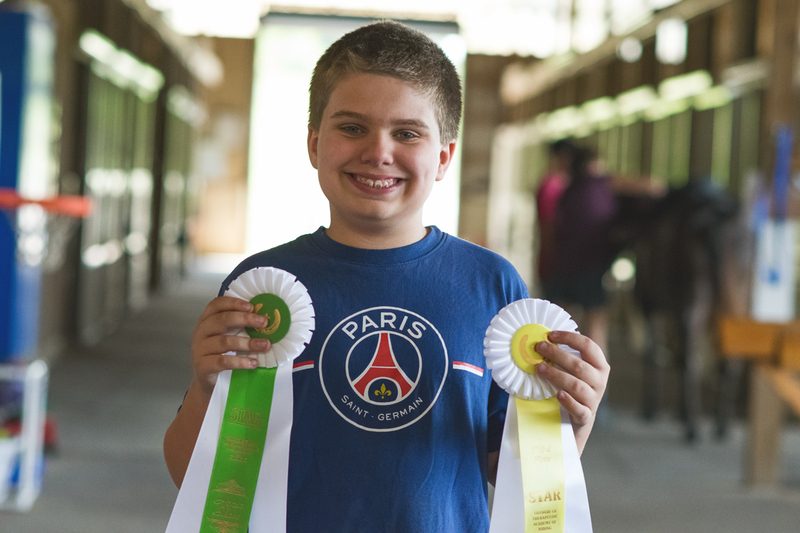 Jackson placed third in the obstacle course and sixth in equitation, receiving a yellow and green ribbon each, a detail he identified readily as the colors of the Green Bay Packers. 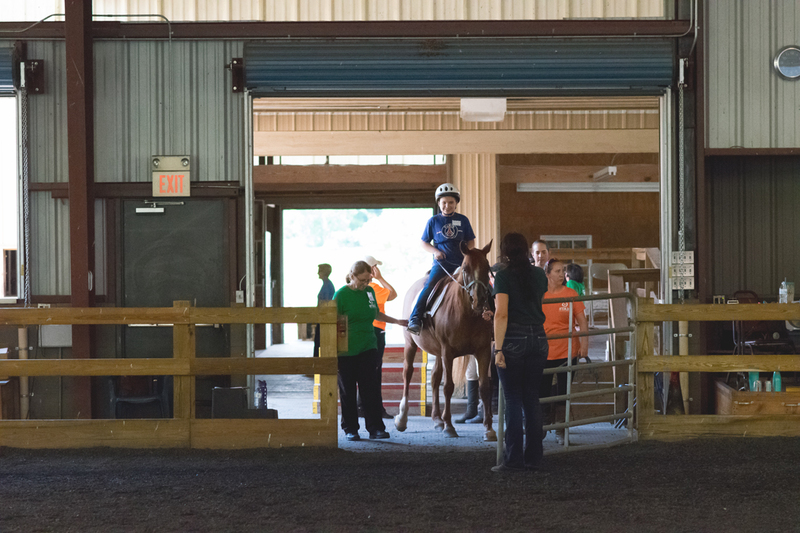 In lieu of participating in team sports this year, we’re sticking with equine therapy – uh, I mean Horse Hangout Hour. 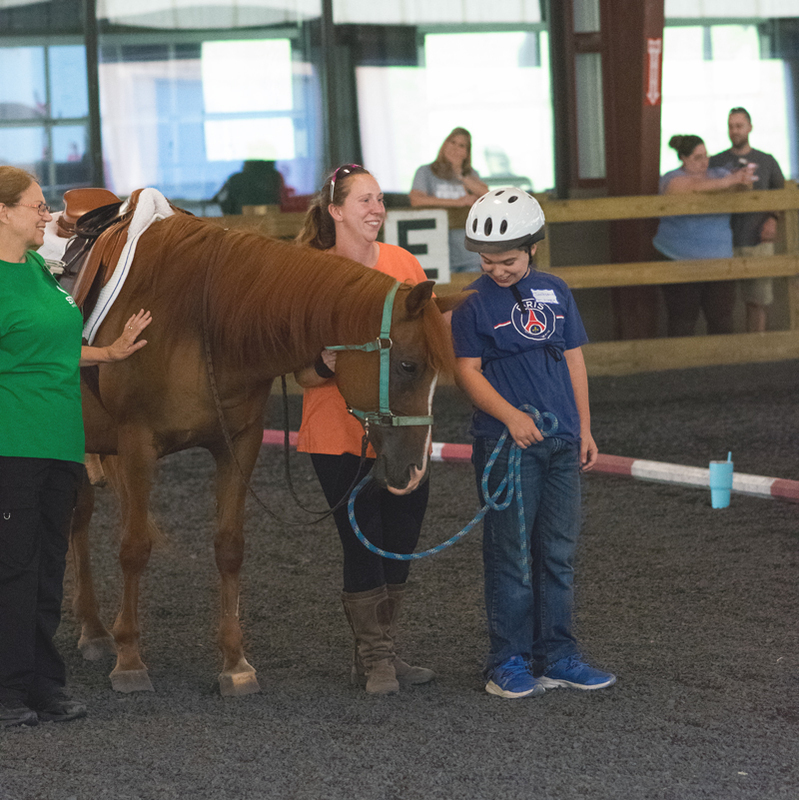 It is amazing what this type of equine therapy can do for Jackson and others. 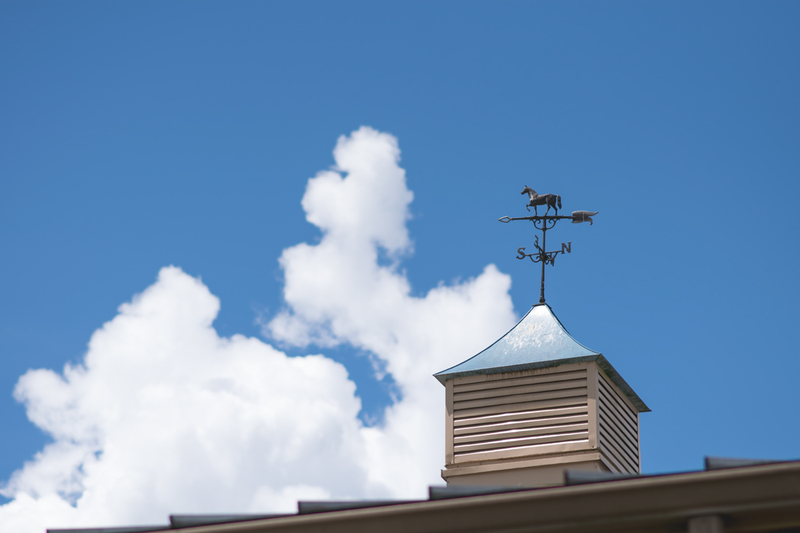 Just wanted you to know that when we were out West in Idaho in 2017, our friends that own a cabin we rent sometimes there invited us to a Rancher Night Charity Event with prime rib, dancing & auction. 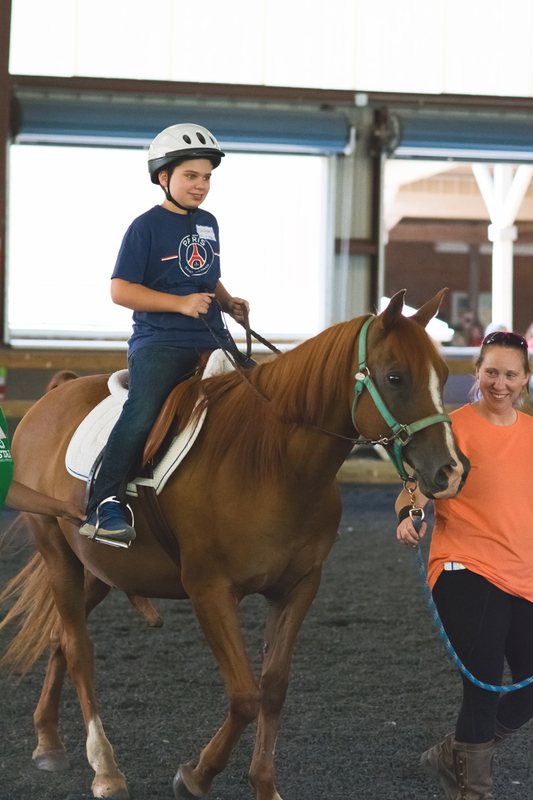 It was to make money for the Whitewater Therapeutic Riding Ranch there. 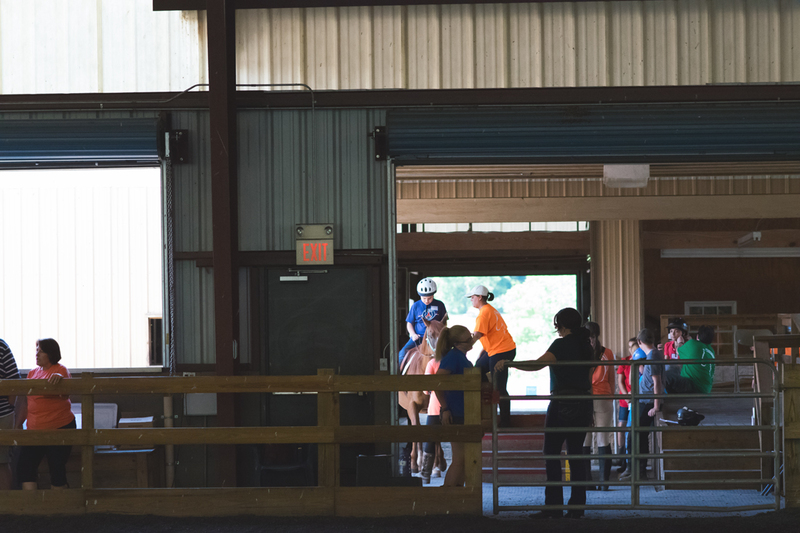 They had the children, adults and others that were doing therapy at the Ranch to come to the dance and dinner. We had a ball. It was therapy for us as well. GO JACKSON!